Valencia CF: Aymen Abdennour to join Valencia CF? 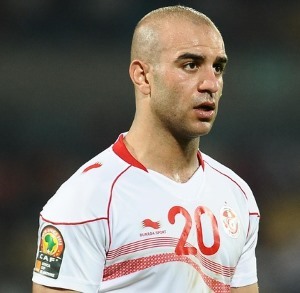 Aymen Abdennour to join Valencia CF? Valencia CF is interested in Tunisian footballer Aymen Abdennour who currently plays for AS Monaco and have begun negotiations with them to try and gauge if they can acquire the player. Aymen has refused to play for AS Monaco in the hopes of forcing through a move to a new club, with the likes of Juventus, Newcastle, Aston Villa and others inquiring about the player as well. Aymen Abdennour joined Monaco on loan from Toulose, after impressing with his performances during the the loan was signed on a permanent 4 year deal. Now Valencia CF is interested in acquiring his services and is looking to offer in the region of 10 million euros to persuade AS Monaco to part ways with him.